4" Flare Tail Tubes Discounts Apply ! Our latest addition to our popular Turbo Tails is the "Flare Tails". No more dye on your hands or the carpet of your boat. The unique Cutting Technology allows the tails to flare out to show the different colors and the added action that bass can't seam to resist. This is a 4" Turbo Tail tube with 1" of its tail a different color from the rest of the tube. They have Garlic and 100% Crawfish scent as do all of our Tournament Tested Products. 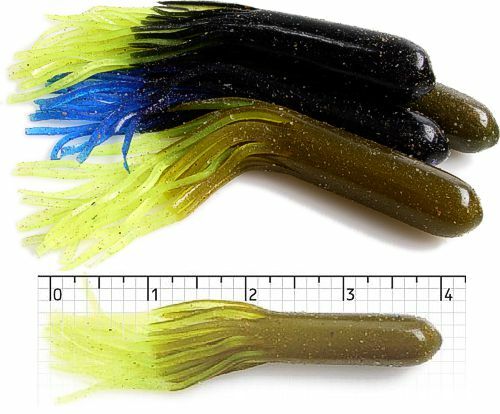 These color combinations have been a standard in angler's boats for years and are now available in a Flare Tail tube.